NFL: Is It Time to Take the Cleveland Browns Seriously? [Jackson] embodies all the qualities that will provide strong leadership for our football team. He is highly experienced, deeply passionate about winning, and relentless in trying to find ways to put his players in the best position to succeed. He possesses that unique ability to reach the entire locker room in a way that demands accountability while getting the buy-in and team-first mentality that leads to positive results. Accountability? Team-first mentality? This doesn’t sound like the Cleveland Browns that we’ve come to know and find great pleasure in ridiculing (even in press releases that are written to sound as un-Browns as possible). Then again, when you delve deeper into this extremely smart hiring, you get the sense that this was exactly the point. It’s no secret that the Cleveland Browns have been a mess for quite some time. In fact, Jackson now becomes the team’s sixth head coach in the past eight years. You’re never going to win in the NFL that way. And for once, it seems as if the Browns have brought in a coach who can actually create some stability in the organization — with the kind of track record that can back up the hype. These past two seasons, under Jackson’s tutelage as the offensive coordinator, the Cincinnati Bengals had one of the most effective offenses in the NFL. In 2014, Cincy was 15th in the league in yards, while this season, the club ranked seventh in points. The way we see it, not only does this speak volumes about Jackson’s offensive credibility, it also proves that he was able to help mold quarterback Andy Dalton into a legit player. If he can do this with a guy like Dalton, perhaps he can do it for whoever ends up under center in Cleveland. Which is why, make no mistake about it, Jackson is a game-changer for the organization. We have to walk into this building every day ready to work and compete to be the best we can be. That is what I am going to sell this football team on. That is what I am going to sell this coaching staff on. That is what I want this organization to be sold on. We are chasing greatness. Sometimes people chase it and you don’t hit it all the time, but if you don’t chase it you are going to hit the wrong thing. At least when you chase it, you might fall on something that is really good that gives a chance to be very special here. 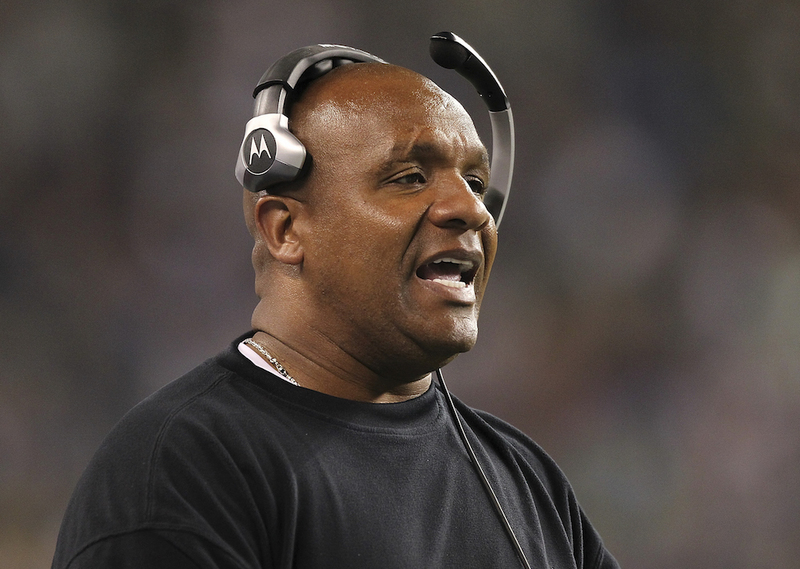 The hiring of Hue Jackson more than likely signals the end of quarterback Johnny Manziel’s tenure in Cleveland. We understand that this may disappoint some Browns fans. Yet, you should know that you’re getting something better in return; something that’s been missing from this franchise for as long as we can remember. Hope. And that, for now, is reason enough to take the Cleveland Browns seriously. Statistics courtesy of Pro-Football-Reference.com, NFL.com, ESPN.go.com, and Clevelandbrowns.com.